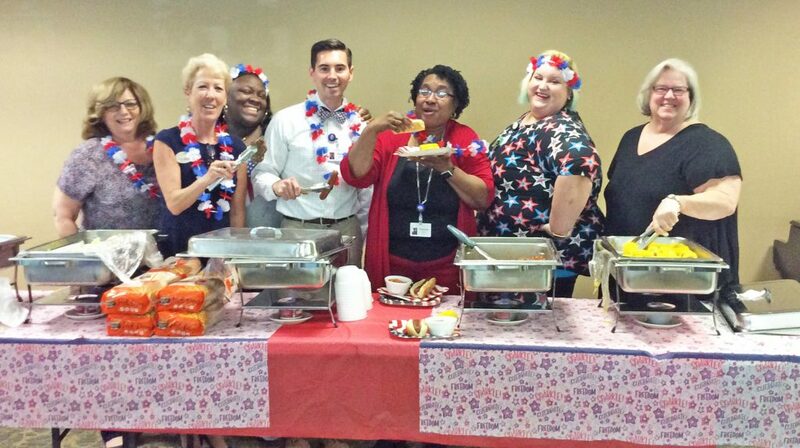 We ushered in Summer at our Memorial Day Luncheon. 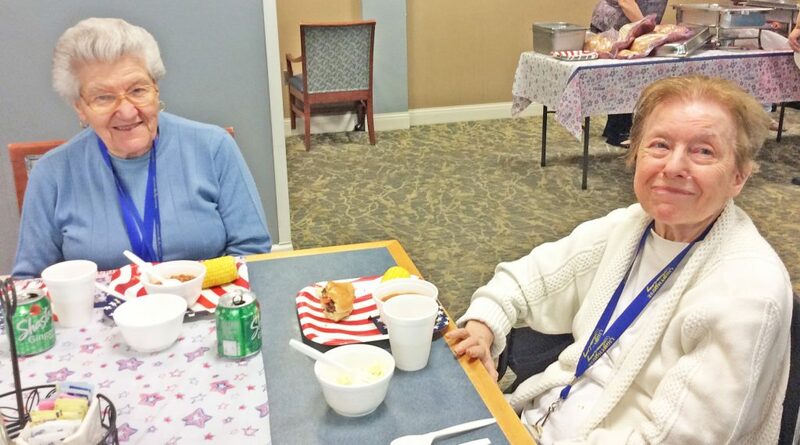 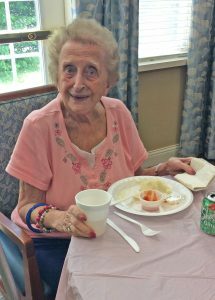 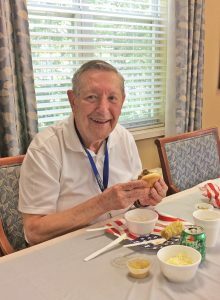 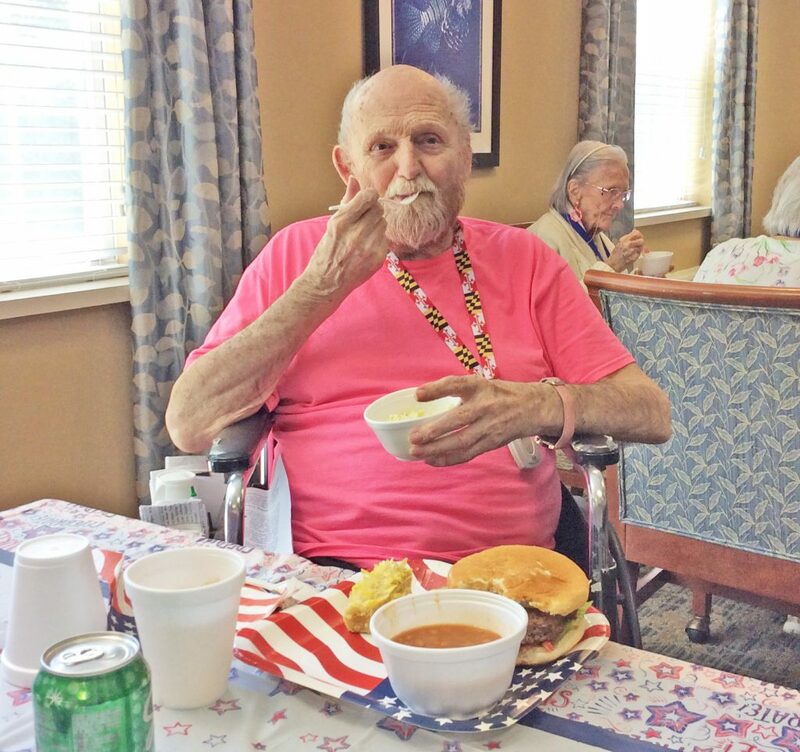 Residents and staff dined on hamburgers, hot dogs, corn on the cob and other classic barbecue favorites. 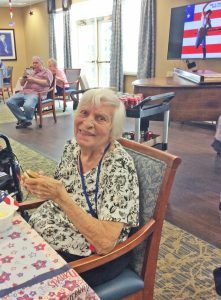 We listened to some patriotic music and sang along to our favorite hits.